Laura Thornquist is a wife, mother of two beautiful kids, and founder of MyDFWMommy.com. She has a marketing, television news and sales background and has had extensive experience in running influencer campaigns for businesses. Currently, she lives in a suburb of Houston, TX and is the COO for a growing Texas business, utilizing her business building, marketing, and social media experience. Laura was a former news anchor for 20 years and a featured savings reporter for WFAA (Dallas/Ft. Worth ABC affiliate) for 8 years. She has also been featured on Good Morning America, Fox, CBS, and NBC, several local newspapers. She still does local television appearances as well. In her spare time, she is an exercise enthusiast and volleyball coach. She loves working in the yard, reading and shopping for high-end items at low prices. 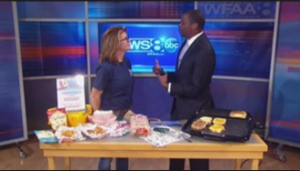 Watch one of Laura’s WFAA reports HERE.